Will a Website Really Help My Business? Yes, a website is more than capable of helping your business. However, your website must be treated like a member of your staff, not like an online flyer for your business. Yes, your website needs all the necessary information like contact information, location (if applicable), hours, services you provide, etc. But in addition to the basic information you should also have goals for your website. Number of visits, number of conversions, and ROI for your digital marketing efforts are all trackable using free software. Tracking these goals will allow you to make changes to your website based on hard data that will improve your website and overall business. But you should be wary of someone who is looking to only build your website. A website alone will do very little for your business other than being the previously mentioned “Online Flyer” if you do not use other tactics. You need to have a strategy in place for generating traffic to your site, as well as a strategy for what happens once a potential customer reaches your site. Do they call, do they make an online appointment, do they buy a physical product? Once you have a clear idea of what a typical customer’s experience should be on your website a lot of the decisions will start to become clear and you can start to get the most out of your website. Content marketing is the generating and dispersal of original content for your business. This is most commonly done through the use of a blog on your website, but can include using email to send articles, infographics posted to your site, and even video creation. Having original, engaging, focused content on your website is quickly being regarded as the best long-term SEO tactic. What does this mean for your business? It means that in the long run content marketing will give you a more consistent ROI by providing meaningful, relevant content to your customers and bolstering your organic search ranking. The down side to content marketing is its lack of trackable data. Other than your websites organic search ranking, there is no way to get an accurate sense of content marketing’s effectiveness. Content marketing can be extremely beneficial for your website and your business if done correctly. Unfortunately, I recently came across a client who had been paying for content marketing and had been getting monthly content, but there was no purpose behind the posts. No SEO tactics, no engaging information, not even a place for comments to encourage a conversation on the topics. The posts were on average only 430 words and had no reason to exist other than to check a box, so they could keep charging their client. This is obviously someone taking advantage of people who are unfamiliar with digital marketing. Don’t let this be you. Your digital marketing agency should teach you as well as provide marketing services. If they can’t take the time to explain how their services work and why they will help, you should run the other direction. Short answer: Yes, email marketing is still king in the digital marketing world. 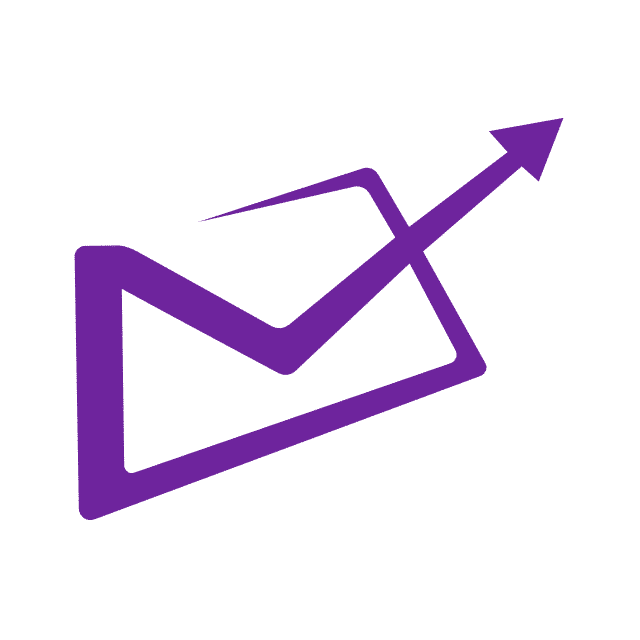 Long answer: Yes, email marketing is still king in the digital marketing world, if done correctly and without spamming your customers. In CampaingMonitor.com’s annual report, they found that for every dollar spent on email marketing, business averaged $44 dollars in return! That’s a 4400% ROI. That’s insane. But that’s only possible if you use your email list wisely and effectively. If you just send a ton of emails every day saying “Hey buy this awesome deal” then people will quickly become annoyed and start opting out of your emails (yes, I’m looking at you Groupon). You first and foremost need to provide value to your customers. They need to have a reason to open their emails that benefits them. If you build a relationship with your customers that shows you care about more than just a sale, then you will have a customer for life. Having a customer on you email list means you can market directly to someone you know is interested in your business for free. That’s the dream of every business. Here is someone that you know is likely to want what your selling and you can put your business right under their nose for free. It’s no wonder that email marketing gets such crazy high returns. A resounding YES. Listen, I could give you stats for days about how mobile devices are dominating the online arena, but just suffice it to say that if you do not have a mobile friendly site, you will lose customers. That being said, you can’t just throw a site up, make it mobile friendly and expect to start seeing a growth in your business. You must have a strategy for generating traffic, and a strategy for what someone should do once they arrive on your site. Without a clear reason for having a website there is no reason why anyone would want to use your website, even if it is mobile friendly. According to Google 61% of users are unlikely to return to poor mobile site and 40% would go to a competitor’s site instead. Make sure you’re not one of them! I Tried Facebook Ads and I Wasted a TON of Money, How Can You Do Better? You shouldn’t give up on using online advertising, and you shouldn’t feel bad for not knowing how to use their platforms. It’s pretty confusing when you first get started. Using a websites advertising platform such as Google Ads and Facebook Ads can tap into their huge audience base and target a very specific demographic. However, their user interface is extremely complicated. This is because there are so many different tweaks that can be made to your ads and to whom your ads are shown. You can set a lifetime budget for a campaign, you can set a daily budget, monthly budget, you can set a max CPC bid, you can set an average CPA amount, you can set CPM amount, etc. Each of these is a different dollar amount that can greatly effect the amount your spending on the ads as well as the effectiveness of the ads. Having such a high degree of control is awesome, if you know what you’re doing. That’s why we are here. Everyone at Collini Marketing goes through extensive training to learn the ins and outs of every advertising platform we use. This allows us to save you money while attracting the customers you desire. On average every business who used Google Ads made $2 for every $1 spent. If that wasn’t your previous experience, just know that if online ads are done well they can be a great source of revenue for your business.